Treatment for scoliosis, an abnormal curving of the spine, doesn’t necessarily mean having to resort to spine surgery in Los Angeles. This is especially true when the scoliosis is related to other conditions such as muscle spasms or even a difference in leg length. The purpose of any type of treatment for scoliosis is to prevent the curvature of the spine from getting worse. Bracing is usually recommended for younger patients who are still growing or patients with a moderately severe deformity (from 60 to 80 degrees). Generally, a brace needs to be worn for most of the day (about 20 hours) until the maximum correction is achieved. The brace is periodically adjusted and worn for about a year and a half to increase the odds that the correction will be permanent. 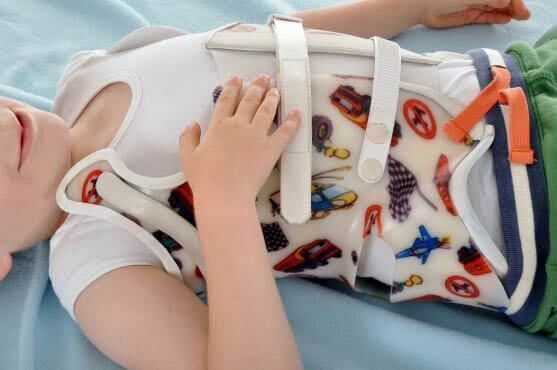 Bracing tends to be a more successful treatment for younger patients since it’s easier to correct curvature while the bones of the back are still in the growth stage. Some type of physical therapy is also required in addition to the use of a brace. The good news is that most patients with scoliosis do not require any type of treatment, surgical or otherwise, to address the issue. Routine exams are necessary to gauge any progression of the condition, typically every 4-6 months for children and once a year for adults. If you or someone you know is living with scoliosis that has been unresponsive to conservative methods or you are seeking a second opinion regarding treatment, reach out to The Spine Institute Center for Spinal Restoration, headed by Medical Director Dr. Hyun Bae. Our spinal specialists and surgeons will be able to help determine the extent of scoliosis in regards to pain and discomfort and can offer effective and safe options for treatment. Call (310) 828-7757 to request a consultation.